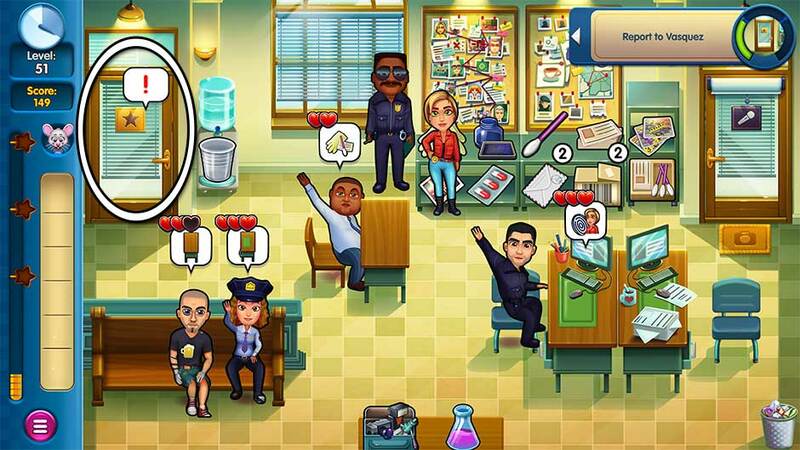 Welcome to the Parker and Lane – Criminal Justice Collector’s Edition Official Walkthrough! Join determined rookie detective Lily Parker and charming criminal defense attorney Victor Lane as they attempt to solve the mystery behind a deadly crime spree. This is the official walkthrough and contains guides and strategies for every level and challenge – including mouse locations! You may even discover clues and an Easter egg or two along the way. Select a section from the Contents below to get started! Welcome to the introductory tips and tricks section of the Parker and Lane – Criminal Justice Collector’s Edition Official Walkthrough. This portion of our guide covers all the essentials of the game. Parker and Lane – Criminal Justice Collector’s Edition is a Time Management game. 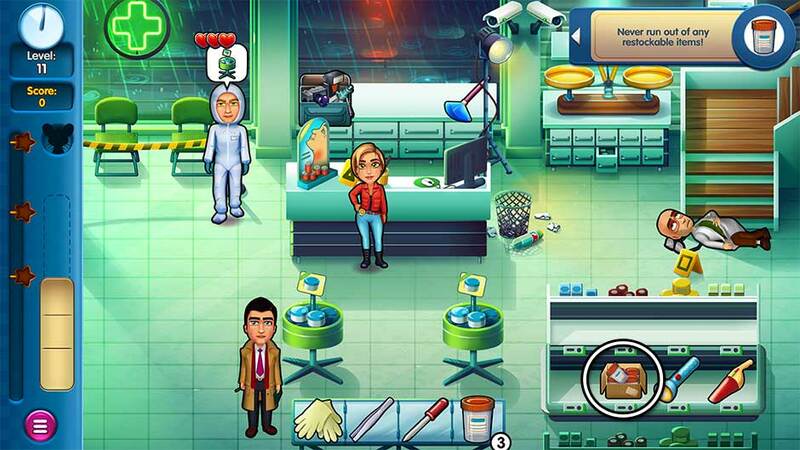 The goal of the game is to assist as many investigators as possible, as fast as you can. Investigators will enter crime scenes and request various items or tasks to assist the investigation. 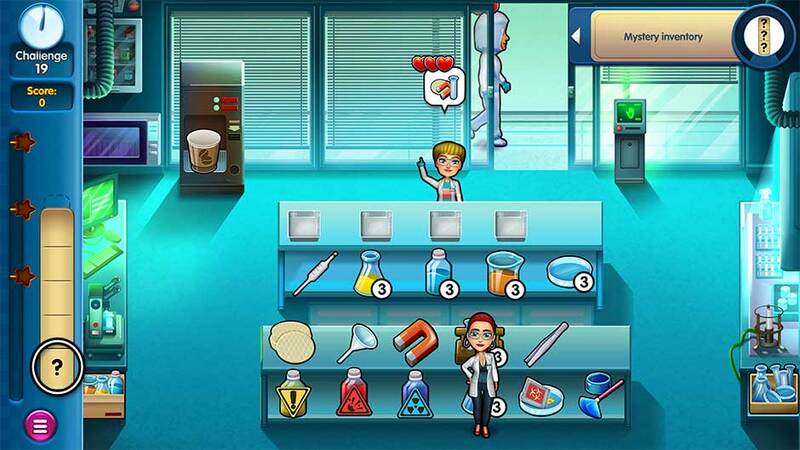 Retrieve the items they ask for or complete the tasks they require. Once an investigator has finished their analysis, they’ll be ready to sign out. Click on the overseeing officer or individual to check them out of the crime scene. 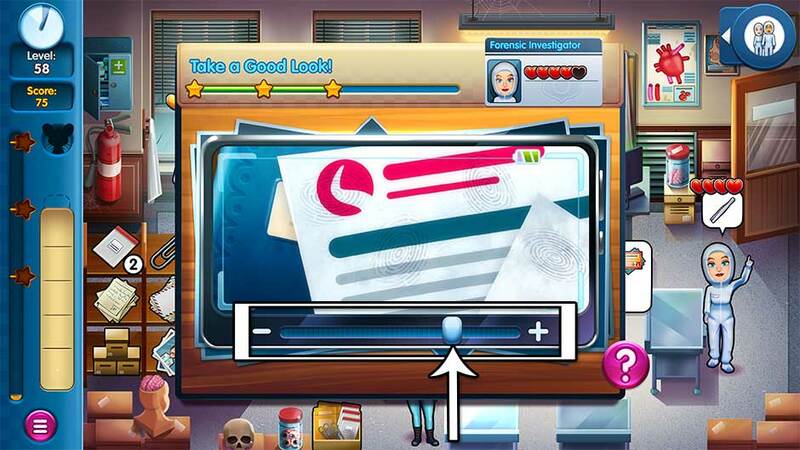 Each investigator will have a number of hearts displayed above them. These hearts show how happy or satisfied the investigator currently is. The more hearts they have, the more satisfied they are. 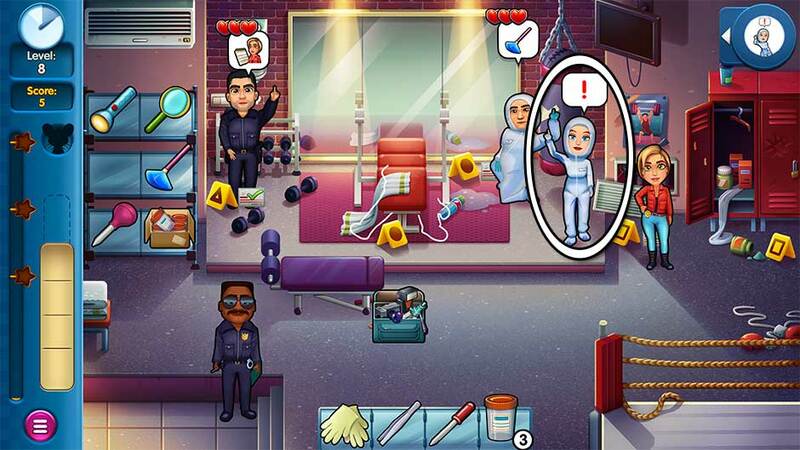 Investigators with 5 gold hearts are the happiest and will earn you the highest scores. 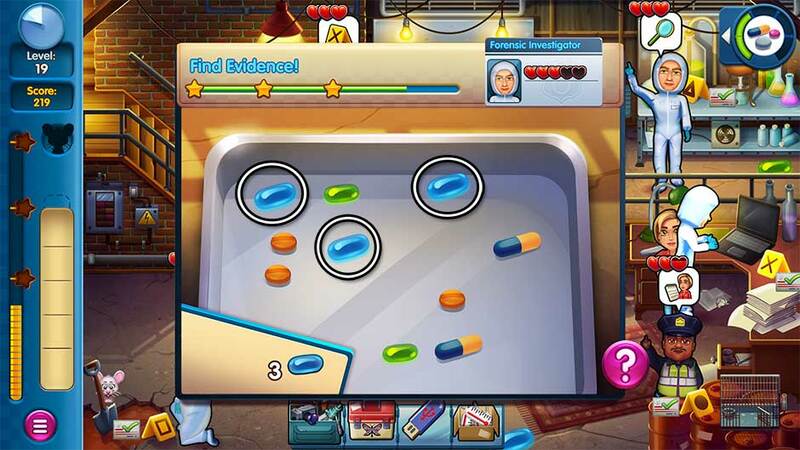 Investigators with lower hearts give lower scores, and investigators with no hearts will leave the crime scene without giving you any points at all. 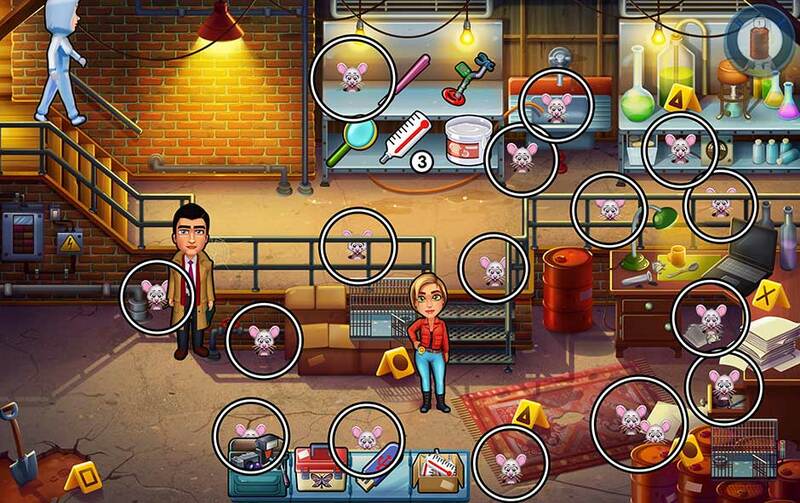 Assist investigators quickly and bring them the correct items to increase their happiness and your overall score. GameHouse Original Story favorite Carl the mouse makes an appearance in each of the game’s 60 story levels. The mouse will appear during each level, so keep your eyes and ears open! Find every mouse to unlock a special trophy. To view all mice locations, visit the Mouse Locations section. You can also click “View Level # Mouse Location” under any level in the guide below to be taken directly to an image of that mouse’s location. Daily Challenges are a special type of challenge which you can select at the bottom of the level select map. These challenges are randomized, and a new challenge will be generated every day! Complete the Daily Challenge to earn special bonuses and achievements. Every location has a selection of upgrades you can purchase at the start of the level. Once these upgrades have been unlocked, they will remain unlocked and available every time you play in that location. Upgrades offer special bonuses that can help improve your gameplay and scores. A heart of gold! – Investigators with 5 gold hearts, the maximum happiness possible, can wait in checkout lines indefinitely without losing any hearts, guaranteeing a high score. Be prepared! – Restock items with limited stock numbers at the very start of the day to help you stay ahead of the rush. The diamond standard! – Complete level challenges, goals, and objectives to earn diamonds. 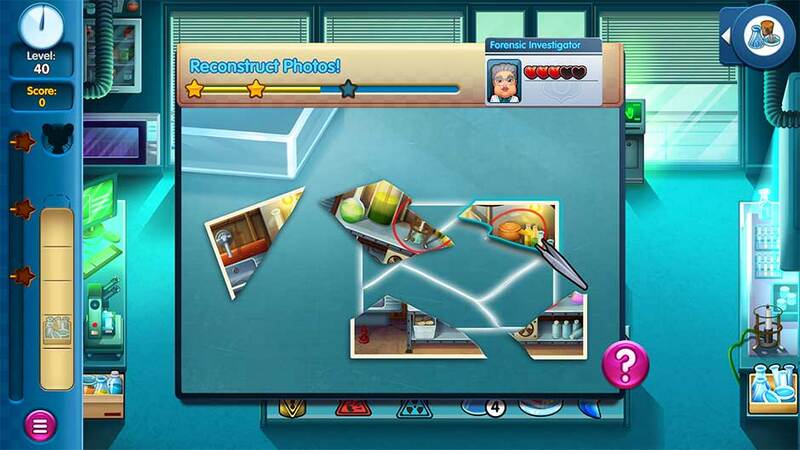 Diamonds can be used to reveal more evidence for your case file and unlock other special content. Daily routines, daily challenges! 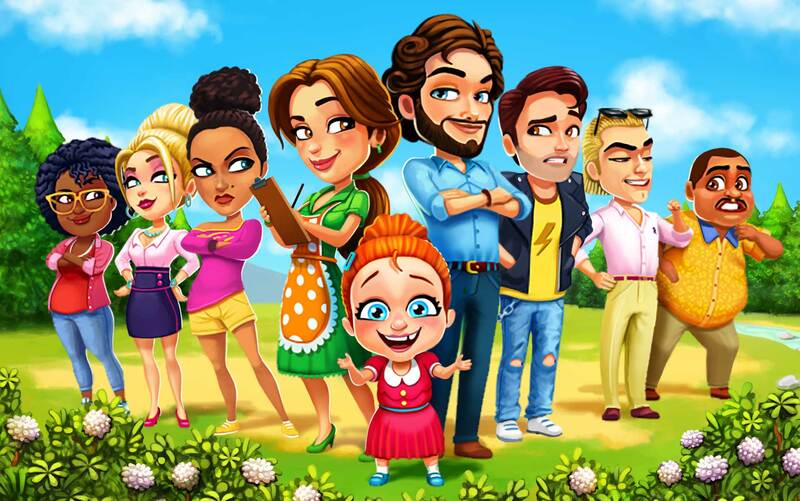 – Complete the Daily Challenge to earn additional extras. A new Daily Challenge is generated every day. I smell a rat! – Er, a mouse! 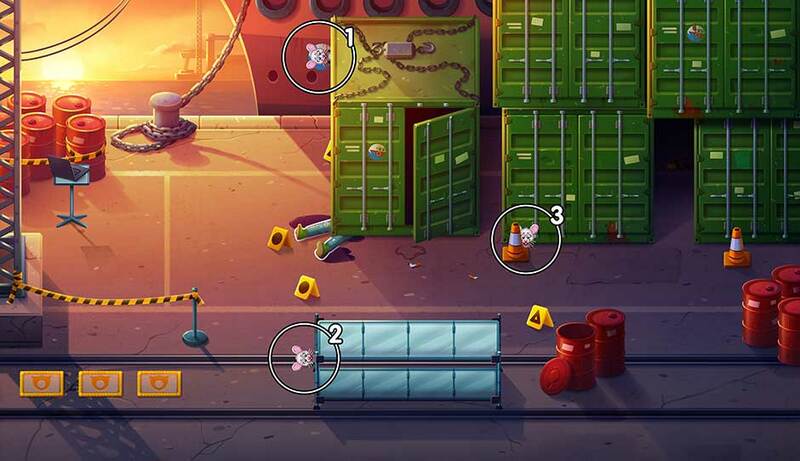 Carl the mouse is hidden in each of the game’s story levels. Find him before he disappears! It’s the gesture that counts! – Some tasks investigators need assistance with require you to perform certain touch gestures. These gestures include sliding, dragging, or moving a certain way to complete. A prompt with a command will appear each time you need to perform a gesture, telling you exactly what you need to do. Don’t worry – these gestures are simple can be performed with a mouse or touchpad. Connecting strings! 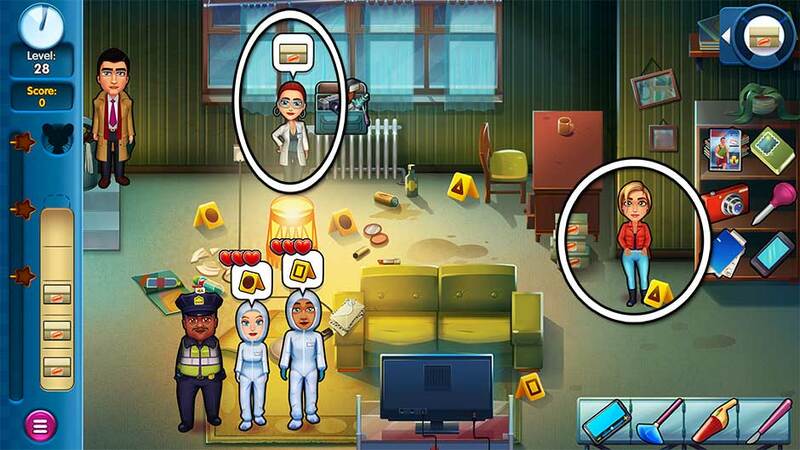 – You can continue to pick up items, assign and assist investigators even while performing various gestures. Remember, it’s all about time management! Welcome to the Parker and Lane – Criminal Justice Collector’s Edition Official Walkthrough! This walkthrough and strategy guide covers every part of the game: levels, challenges, mice locations, and more! Scroll up to the Contents section to quick-jump to a section or continue reading below. Pick up the deliveries from the courier. Throughout the day, packages will arrive at the crime scene. Once the package icon appears over the courier’s head, click on him to receive the package. Do this a total of 3 times to complete today’s goal. 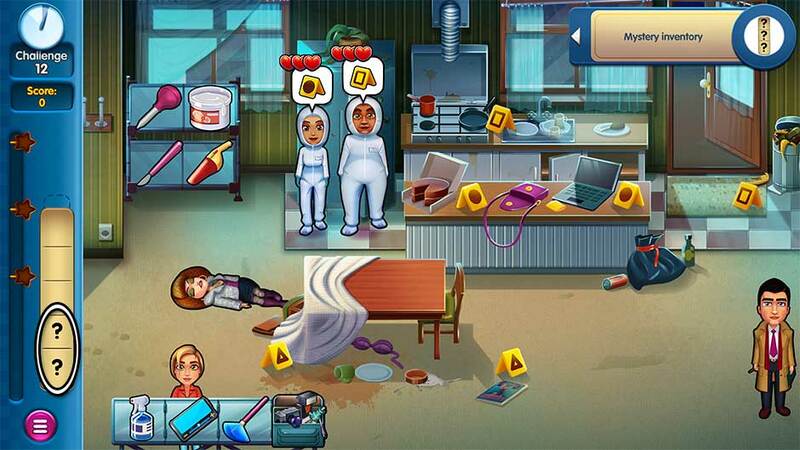 Find the scattered evidence in the crime scene. Find the evidence scattered around the shipyard. There are 5 pieces of evidence to find. Their locations are shown below. Earn the first star in the first half of your shift. Get the first star in the first half of your shift! The trick here is speed. Assign forensic investigators to the markers as they show up. If more than 3 are waiting, they’ll leave! Keep an eye on the clock in the upper left corner and make sure to check out any investigators waiting with the officer on the left before it reaches the 6 o’clock position. Put up the case board with the new clues. Put up the case file board during your shift. A “!” bubble at the top of the screen marks where the board needs to be set up. Click on the board to put it up. Finish the task before the day’s end to earn a diamond. No one should leave angry. No one should leave angry today. Your goal today should be to keep officers and visitors at a steady 3 hearts or higher. Knowing where items are located is key. Access the camera bag via the table at the bottom of the screen. To restock cotton swabs and stationary, click on the box on the bottom shelf of the file cabinet, to the left of the recording studio. Don’t remove anything from your inventory. Don’t remove anything from your inventory today! Your inventory refers to the tray where items you pick up are placed. Be especially careful when picking up combination items which have multiple components. It’s always better to take a little extra time where needed. 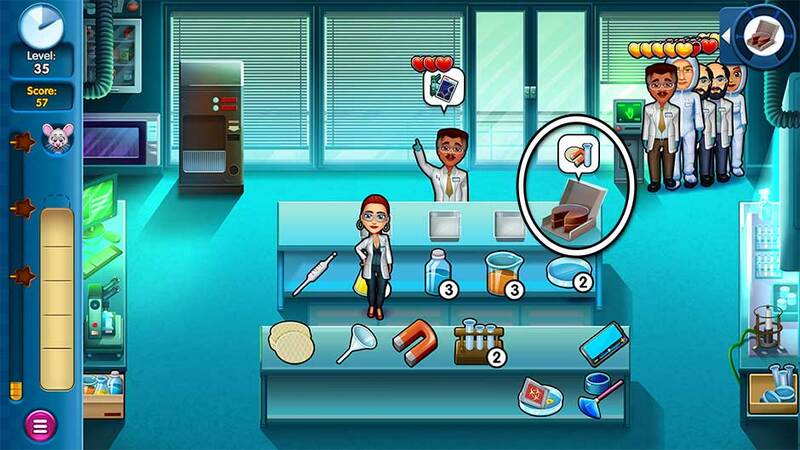 Get through the day without removing any items from your tray, and you’ll earn a diamond. Stand still for 30 seconds. Stand still for 30 seconds during your shift. 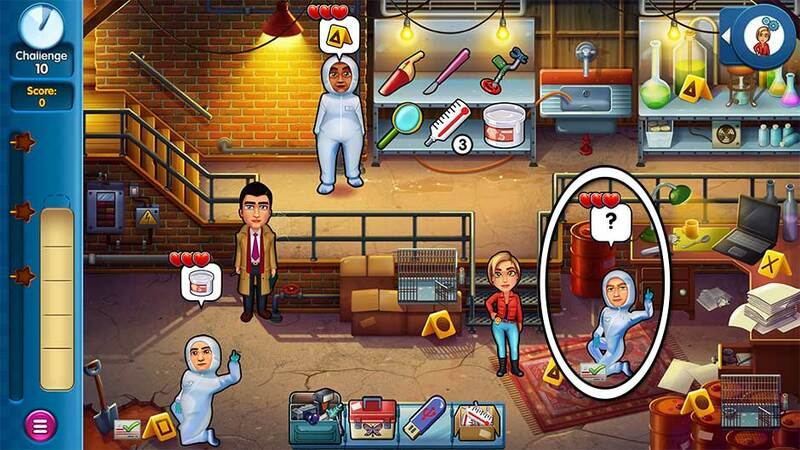 During this time, you won’t be able to bring any items to investigators, or the clock will reset. The number of seconds you’ve stood still is kept track of in the upper right corner where today’s challenge is displayed. The easiest way to accomplish this challenge is at the very start or the very end of your shift. Tip! 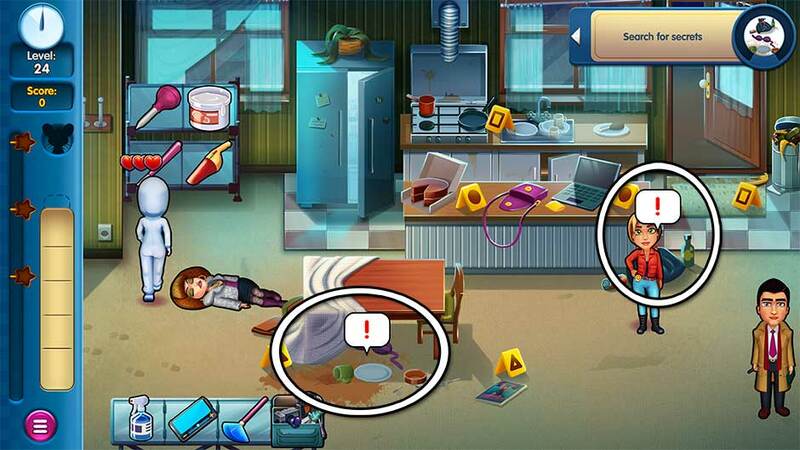 You can still assign investigators to evidence markers without Lily Parker moving. This will buy you a little extra time if you decide to complete the challenge at the start of the day! Remind investigators to check out! Remind investigators to check out during your shift. Once an investigator has been assigned to a marker and has completed their task, a “!” bubble will pop up over their head. Click on the investigator to prompt them to go to the officer for checkout. Get 5 combos at checkout. Every time you check out 2 or more investigators at the same time, you will receive a checkout combo. Earn 5 combos during your shift to complete today’s challenge. Tip! 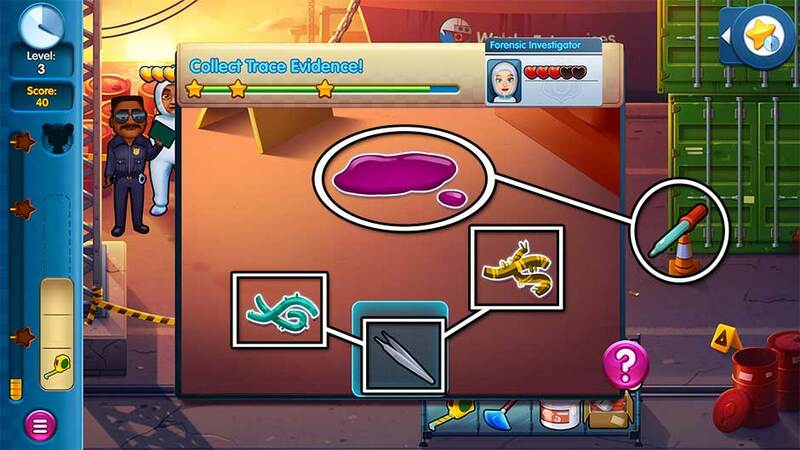 While checking out a group of 5 investigators at once will give you the maximum score, checking out investigators in pairs of 2 is the most effective way to complete today’s challenge. Look for clues hidden around Logan’s Gym. Places of interest are marked with a “!” bubble. Click on each of these locations to have Lily Parker examine them. Examine all 3 areas of interest before the day ends to complete today’s challenge. Never run out of any restockable items! Today’s challenge is to never run out of any restockable items. Thankfully, the only restockable item is the plastic cup on the table at the bottom of the room. Click on the cardboard box next to the flashlight in the lower right corner to restock them. Get through the day without the stock ever dropping below 1 to complete today’s challenge. Check if the security cameras are functioning. Check if the security cameras are functioning. Click on the cameras attached to the wall above the scales to examine them. Complete your examination before the end of your shift to complete today’s challenge. Tip! You can also click on the section of wall the cameras are attached to for Lily Parker to examine them. Check the camera footage archives. Check the camera footage archives. Click on the monitor at the desk in the center of the room marked with a “!” bubble. A meter will appear displaying your progress. Successfully complete your check before the end of your shift to earn a diamond. Keep the suspect out of the crime scene. Keep the suspect out of the crime scene. Throughout the day, the suspect will wander onto the crime scene. He’s easy to spot with his large blue eyes and cut-off shorts. When he stops wandering and the “!” bubble appears over his head, click on him to shoo him away. You have important work to do! 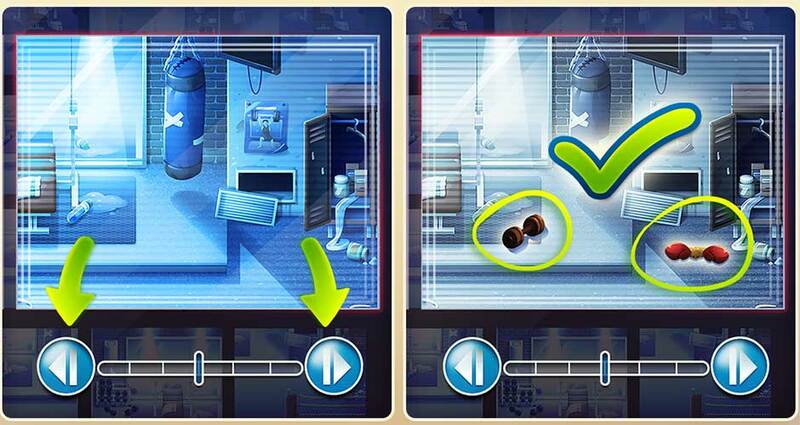 Prevent the suspect from interfering for the duration of your shift to earn a diamond. Examine the scales on the table in the upper right corner. A “!” bubble will be floating over the scale at the start of the day. Click on the scales to examine them. A meter will appear displaying your progress. Complete your examination before the day ends to complete today’s challenge. Mouse invasion! Find 15 mice. Find 15 mice before the end of your shift. Carl the mouse will pop up in various locations throughout the day. Keep your eyes and ears open! The locations where Carl the mouse can appear are shown below. Tip! The first mouse you find today will also count as this level’s mouse overall. Walk at least 250 meters during your shift. Take the long way ‘round today! Walking as much as possible right off the bat will increase your chances of completing today’s goal faster. Tip! To keep Lily Parker on her toes, when she’s not helping investigators, alternate clicking between Victor Lane and the restock box for the thermometers. Even if the thermometers are fully stocked, Lily Parker will still move to them. Collect samples from the barrel. Collect samples from the barrel during your shift. At the start of the day a “!” bubble will appear over the red barrel on the right. Click on it to collect samples. A meter will appear showing your progress. 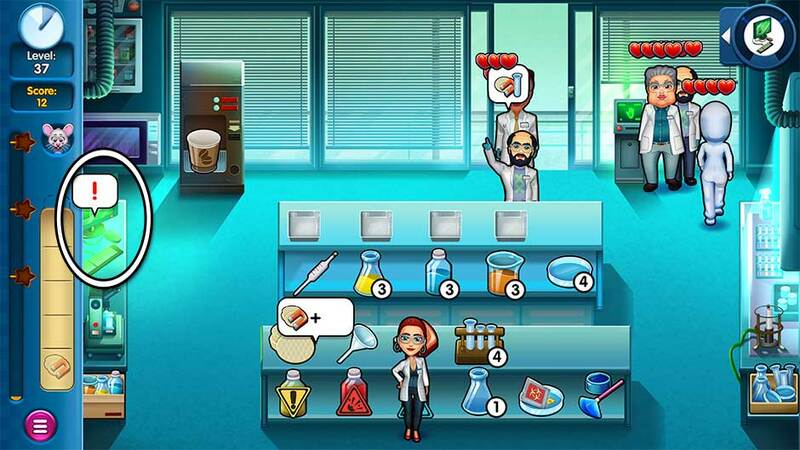 Finish collecting samples before the end of the day to earn a diamond. 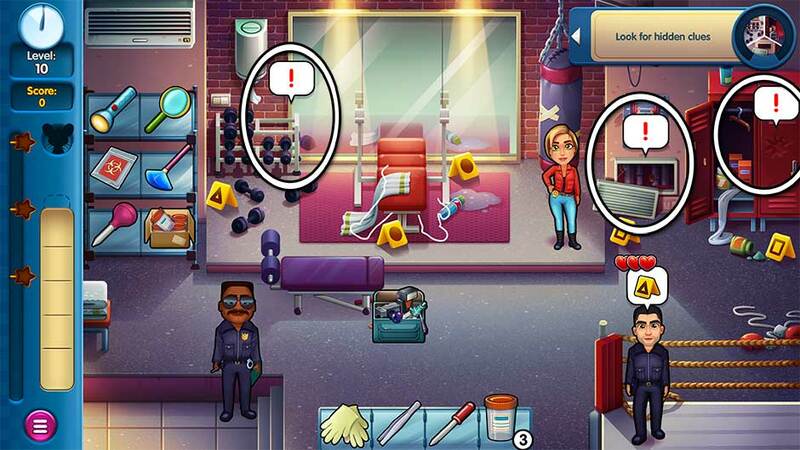 Find the hidden objects in the crime scene. 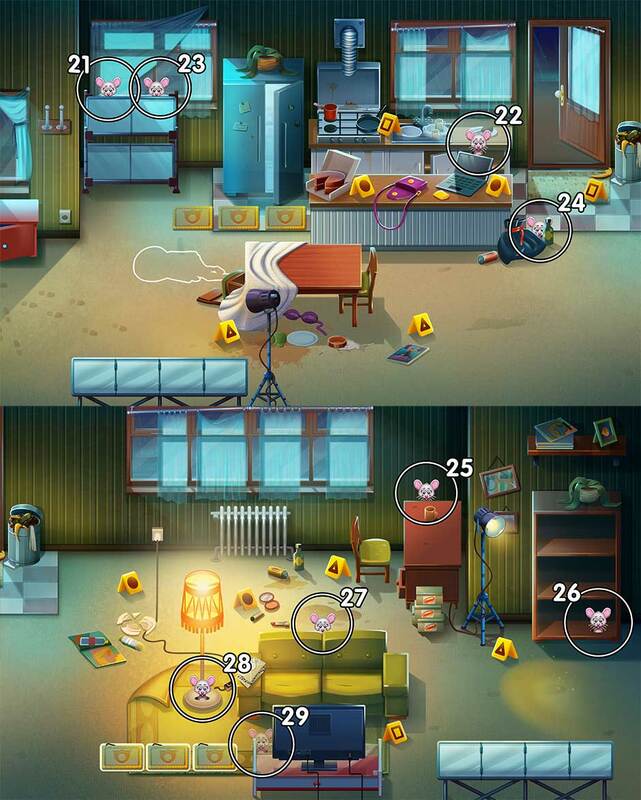 Find the hidden objects scattered throughout the crime scene. There are 5 pieces of evidence for you to collect in total. Their locations are shown below. Like previous shifts, today’s goal is to put up the case file board. Click on the bulletin board marked with a “!” bubble to begin placing the case board. Fill the meter and complete putting up the board before the end of your shift to earn a diamond. Assist exactly five 1-heart investigators. Assist exactly five 1-heart investigators today. Today’s challenge can be tricky. The best way to approach it is to notice the different markers. There are 2 triangles, 2 circles, and 2 squares. To keep things moving (and thus keep your score high) and complete today’s challenge at the same time, leave 1 investigator at 1 of the previously mentioned markers, and let investigators come and go at the 2nd. This way, you can control 5 investigators and only help them once they reach 1 heart, but the marker station remains open, preventing a backlog or pileup, or worse – investigators leaving! Tip! Alternatively, you can let the investigators lose hearts at checkout, but then you risk losing hearts from all investigators – not just 5. It’s important to be efficient! Finish with an empty inventory. Complete your day with an empty inventory. Today’s challenge is simple. As long as you take care and only pick up the items as they’re ordered, you’ll earn a diamond with ease. Ensure every investigator stays happy. Make sure every investigator stays happy today. Investigators will need to have at least 3 hearts to fulfill this goal. Serve them quickly, taking care not to leave anyone waiting for too long. Remember, investigators with gold hearts won’t lose happiness even if they’re waiting at checkout. Secret lover – search for romantic evidence. Search for secrets hidden around Logan’s house. There are 2 areas of interest, each marked by a “!” bubble. Click on these areas and finish examining them before the end of your shift to earn a diamond. Search the trash and mail. 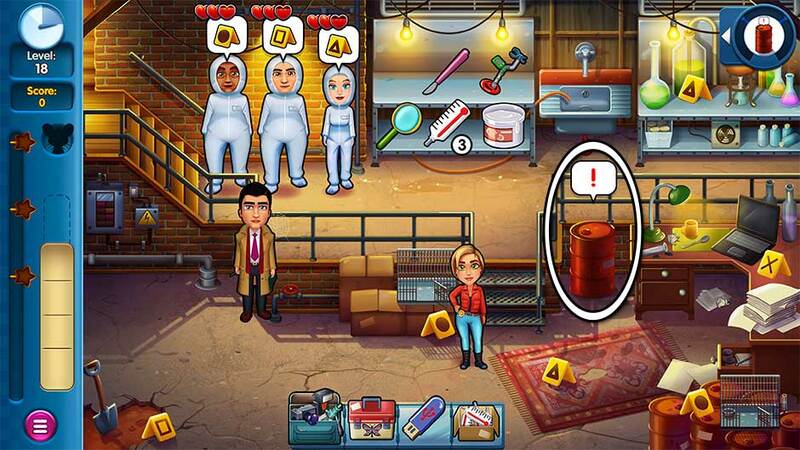 Search the trash and the mail at the crime scene in Logan’s house. Both areas are marked with a “!” bubble. Finish examining both before the end of your shift to earn a diamond. Don’t assist anyone for 20 seconds. Don’t assist anyone for 20 seconds. This is a challenge which can easily be completed at the start of the day. Go 20 seconds without picking up an item or moving to Victor Lane to complete today’s challenge. Tip! You can still assign investigators to markers. This does not count as assisting an investigator, making completing this challenge at the very start of the day quite feasible. As long as Lily Parker isn’t moving, she’s not assisting anyone. Sign out 5 batches of precisely 2 investigators. Checkout 5 groups of 2 investigators at the crime scene today. It’s best to focus on this goal at the very start of the day. An investigator won’t move to Victor Lane to sign out until Lily Parker has assisted them, giving you control of how many investigators move to checkout and when. Aid investigators in groups of 2. Once you’ve checked out 5 groups of 2 investigators, make sure you’re only checking out 3 or more, or singles for the rest of the day. Send the boxes to the warehouse. Send the boxes to the warehouse over the course of your shift. The boxes are located on the right, next to the rightmost triangle marker. Click on one of the 3 boxes at any time to add it to your inventory tray. Throughout the day, Stella Duvall will show up to pick up the boxes. A bubble will pop up over her head once she’s ready. Pick up a box to put in your inventory, then click on Stella to hand it off to her. Pass all the boxes off to Stella before the end of your shift to earn a diamond. Tip! You can add the 3 boxes to your inventory at any time. If you need to remove one at any point, click on the box in your inventory to cross it off. It will be removed from your tray and returned to the area next to the triangle marker where it was found. Couch potato – investigate the couch for clues. Investigate the couch for clues. A “!” bubble will appear over the couch. 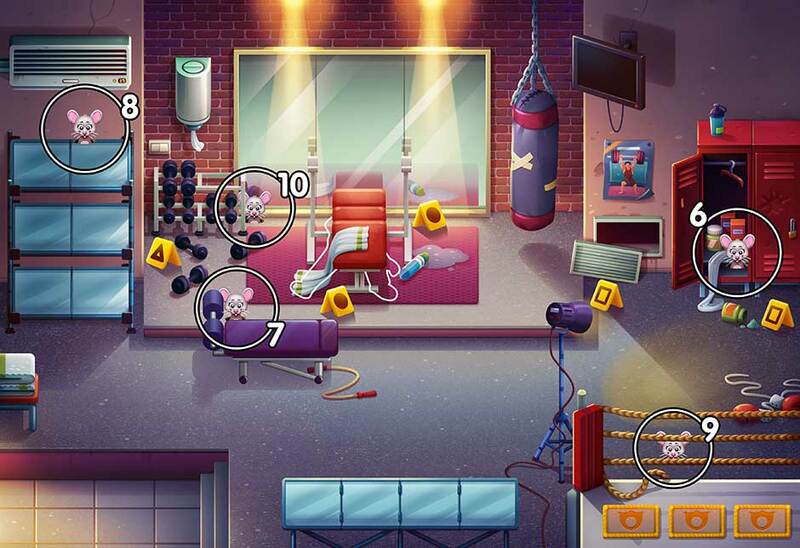 Click on the couch to investigate – a meter will appear displaying your progress. Finish examining the couch before the end of your shift to complete today’s goal. Time to put up the new case board! A “!” bubble will appear over the bulletin board. Click on it to hang the case board. Complete the task before the end of your shift to earn a diamond. Never run out of restockable tools. Never run out of stock of any item today. There’s several items which must be stocked, and 2 boxes with which to replenish that stock. The restock boxes are circled in the screenshot below. Make sure no item drops to 0 stock and you’ll earn a diamond for today’s challenge. Make 20 investigators ecstatic today! Ecstatic investigators will have gold hearts over their head. Restock at the start of the day and serve investigators quickly. 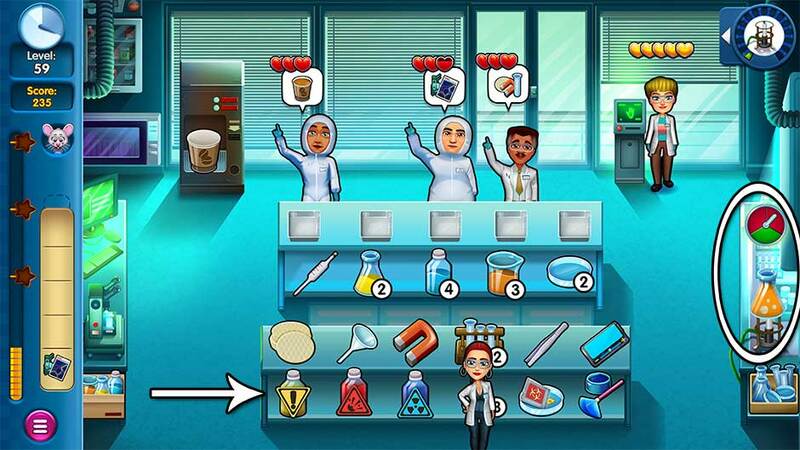 Remember, gold-heart investigators won’t run out of patience at sign-out, allowing you to build up checkout combos. Tip! The number of ecstatic investigators you’ve helped is kept track of in the upper right corner of the screen. Today’s challenge is to analyze blood. A “!” bubble will appear over the equipment on the left. 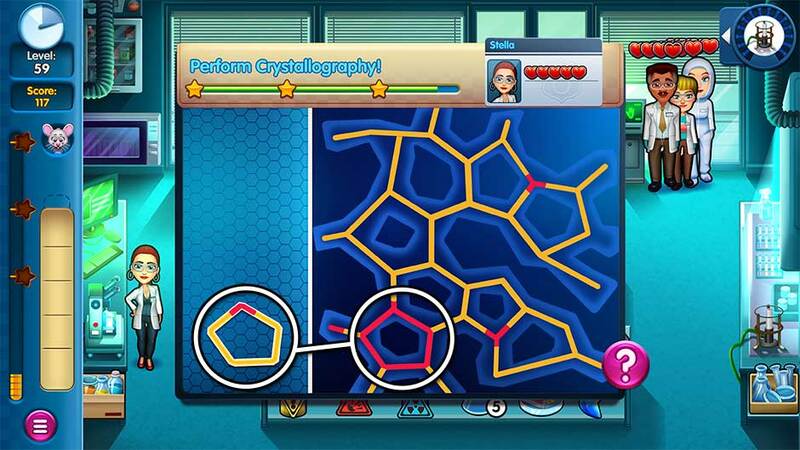 Click on it to enter the minigame Perform Crystallography! Place the correct piece(s) into the matching shape in the lens to complete the minigame. Repeat this task 6 times throughout the day as the “!” bubble appears to complete today’s goal. Don’t pick or make 2 of the same item consecutively. Don’t pick up or make 2 of the same item at any time today. If the same item is ordered back-to-back, pick up something else first. You can always cross extra items off your inventory tray on the left. The cake isn’t a lie. The cake is located on the right side of the upper work table. You’ll need to add different ingredients and components to the cake… for science. Gather the ingredients or components needed for the cake. A bubble showing what’s needed will appear over it. Add all 5 necessary components before the end of the day to complete today’s challenge. Look at that! We’re doing science and we’re still alive. Don’t have more than 2 orders in your inventory at once. Only carry 1 order at a time on your inventory tray. This means no back-to-back combos in serving investigators, or you’ll fail today’s challenge. Only help 1 investigator at a time. For highs score combos, focus on checking out multiple investigators at sign-out instead. Today’s goal is to research the poison. A “!” bubble will pop up over the green computer on the left. Click on the computer to research the poison. You’ll need to do 3 rounds of research before the end of the day to complete your goal. Assist investigators within 20 seconds of each other. Assist investigators within 20 seconds of each other today. The hardest part of this challenge is accounting for the time needed to prepare certain items. Restock at the start of the day and don’t be afraid to take a little longer as necessary to ensure a steady flow of investigators for your goal. Have every tool fully stocked at once. Have all products fully stocking simultaneously. To complete this challenge, simply restock items using the boxes in the lower left and right corners until all have been completely stocked. This can be done at the very start of the day, allowing you to play the rest of the shift as per normal. Don’t destroy anything by spilling, spoiling, or burning. Don’t let anything be destroyed today. Keep a close eye on any items that require additional preparation time. Don’t be afraid to slow down just a bit to ensure nothing spills, burns, or spoils. Don’t stand still for longer than 20 seconds. Look alive and keep on your toes! Don’t stand still for more than 20 seconds at any point today. The easiest way to keep Lily Parker moving is to alternate clicking on the tables at the bottom of the screen. 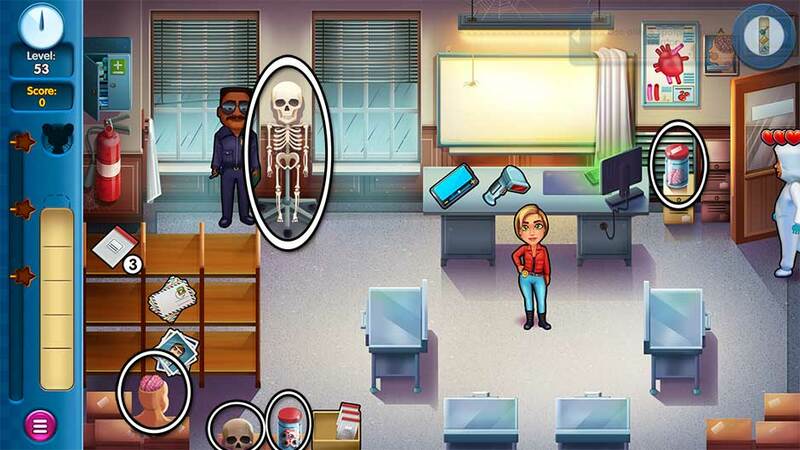 Lily Parker will move back and forth between the tables as they’re clicked, keeping her on her feet without interrupting your workflow with investigators. Examine all the tables during your shift. Tables are marked with a “!” bubble. Once you click on a table to examine it, a meter will appear displaying your progress. 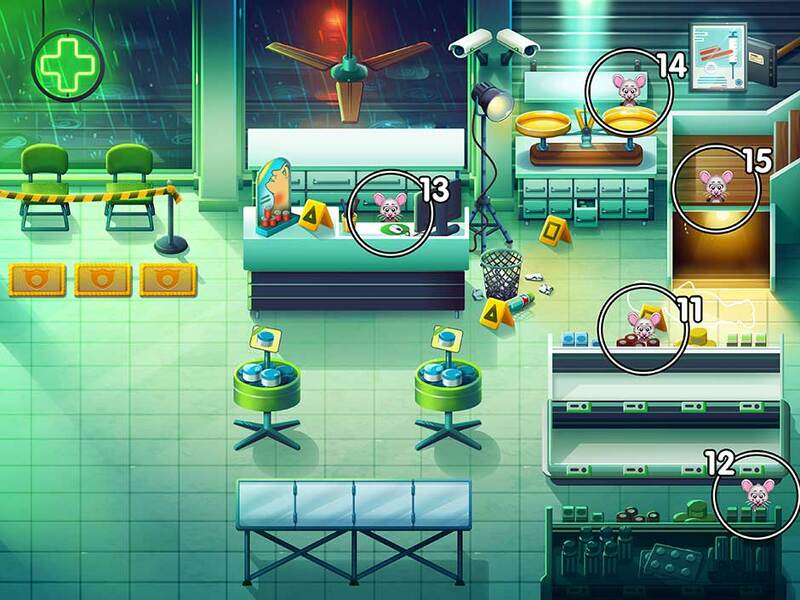 Successfully examine all 4 tables before the end of your shift to earn a diamond. Today’s priority is to check the back door. A “!” bubble will appear in the back doorway whenever it can be checked by Victor Lane. Click on the doorway to send Victor Lane to check the back. Do this a total of 5 times today to complete today’s goal. Today your job is to interrogate Mrs. Walsh. She’s standing in the lower right corner. A “!” bubble will appear over her head whenever she can be interrogated. Question Mrs. Walsh a total of 5 times to complete today’s goal. Give 10 investigators their requests within 10 seconds. Assist 10 investigators within 10 seconds. A meter in the upper right corner will help you keep track of your progress and the time taken. Remember it will take Lily Parker time to prepare items, so it’s important to serve investigators as quickly as possible. Assist a total of 10 investigators, each within a 10 second timeframe, to complete today’s challenge. Tip! Try keeping popular items on your inventory tray to save time. Don’t let any investigators drop below 3 hearts. Don’t let any investigators drop below 3 hearts today. Keep investigators happy by serving them quickly. Remember to restock at the start of the day. You can also keep items, like an extra coffee, on your tray for quicker assistance. It’s that time again! Hang up the case board before the end of the day. The case board is marked with a “!” bubble. Click on it to add the new clues. If you complete the task before the day’s end, you’ll earn a diamond. Restock items at least 10 times. Restock items at least 10 times. You can make good progress toward this goal at the very start of the day by immediately restocking. If you want to make more progress without waiting for orders, simply add some of the stock to your inventory tray, then restock the item again. You can remove extra inventory tray items by clicking on them. Use no more than 1 spot in your inventory. Use only 1 spot in your inventory today. This means you can only serve a single item and a single order at a time. Speed is key! Don’t let people back up and remember to sign people out with the officer. Keep Stella from walking away. Keep Stella from walking away by clicking on her. Stella Duvall is located in the bottom right corner. A meter will appear over her head indicating how much time is left before she’ll walk away. Keep her from leaving for the entire day to earn a diamond. Tip! You can click on Stella as many times as you want, even if the meter isn’t present. Save time by clicking on her whenever you’re not busy with other tasks. Get into Vasquez’s office, close the door, and stay there for 3 seconds. Report to Vasquez a total of 3 times today. Every time you need to report, a “!” bubble will appear over the door with the sheriff’s star on the left. Click on it to report. Finish your reports successfully today and you’ll earn a diamond. Mouse invasion revisited! Find 15 mice. Find 15 mice. Keep your eyes and ears open for Carl the mouse, who will pop up all over today. The first mouse you find will also count toward the level’s overall mouse. Locations where mice may appear are pictured below. Use only 3 spots on your tray. Today’s challenge is to use only 3 spots in your inventory. Never put more than 3 items on your inventory tray at any point today. Less than 3 is fine. Get through the day maintaining this standard and you’ll earn a diamond to show for it. Fill your inventory completely, and hand out everything in it at least 5 times. Hand out a full inventory at least 5 times today. Investigators will ask for several items at once today, allowing you to fill your inventory quickly. Only hand out items once your inventory is full. Be careful, though! So many orders means it’s easy to slip up. Don’t be afraid to take your time. As long as investigators don’t back up too far, you’ll be just fine. Walk no more than 1,000 meters. Don’t walk more than 1,000 steps today. Avoid restocking at the start of the day and only pick up items as needed. It doesn’t hurt to wait for more than 1 order to maximize your efforts. Try to check out investigators in large groups to save on steps as well. Only deliver full orders today. A full order means bringing all the items an investigator asks for in a single trip. Don’t forget to restock at the start of the day! Never assist the same investigator twice in a row. Never assist the same investigator twice in a row. Bringing full orders today is especially important to keep things organized. If only 1 investigator is present and has already been assisted, wait for another to arrive and help them before returning to help the original investigator. Never have more than 2 investigators in the exit queue. Never have more than 2 investigators waiting with the officer to sign out. You have a certain amount of control over this challenge depending on the timing in which you assist investigators. Check out investigators as singles, or in groups of 2 today. No more than 2, or you’ll fail today’s challenge. Work on an antidote. You can do this by assisting investigators with their orders or do it on your own. A combination of both is ideal. Click on the bottles with hazard signs and labels at the bottom of the screen. Any combination will do. 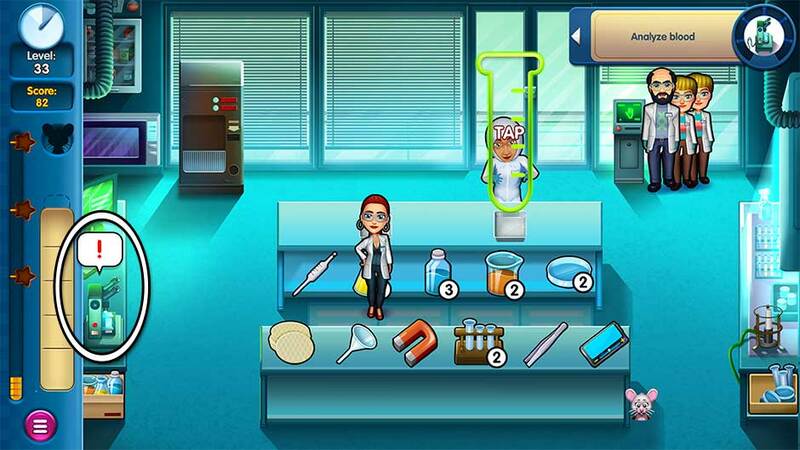 Combine the mixtures with the stock of laboratory flasks to cook up the mixture on the burner. Every mixture you make will count toward the antidote. Create a total of 15 mixtures during your shift to complete today’s challenge. Tip! Don’t forget to remove any extra or unneeded mixtures or flasks from your inventory tray by clicking on them. Assist the investigators in the order they make requests. Assist the investigators in the order they make requests. Watch the order bubbles carefully, fulfilling orders as they’re made. Checking out investigators does not count toward this goal. Congratulations! You’ve completed Parker and Lane – Criminal Justice Collector’s Edition! 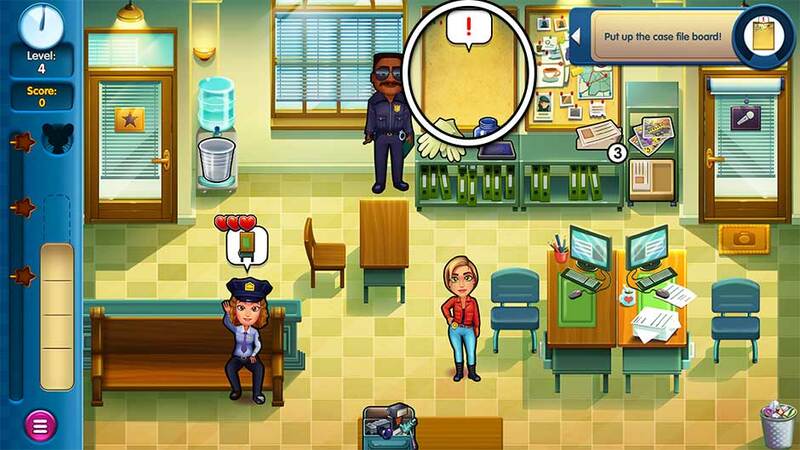 Parker and Lane – Criminal Justice Collector’s Edition features 30 challenge levels. 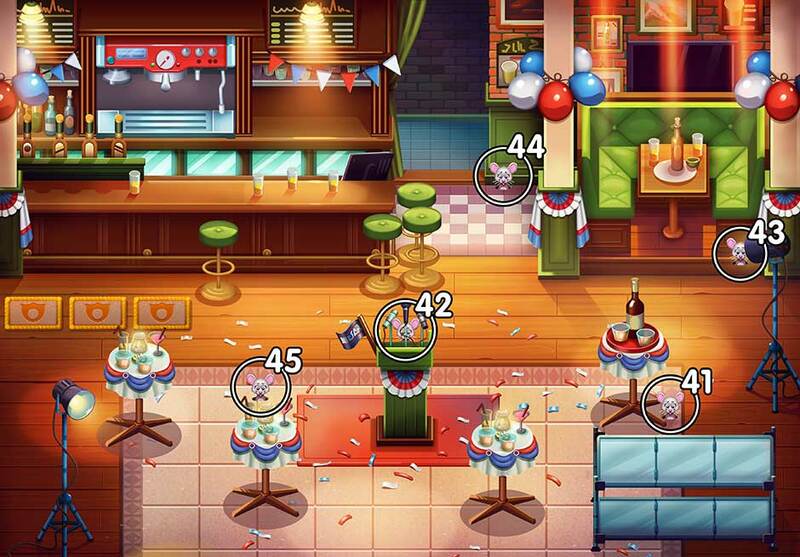 These special challenge levels require you to complete a unique goal or overcome a challenging obstacle to win. Below is a list of challenge levels you can unlock and tips and tricks on how to complete them. For more information on Daily or Endless Challenges, visit the General Tips & Tricks section. Assist investigators in the order they arrive at the crime scene. Complete the day serving orders in the order the investigator arrives to complete the challenge. Complete the challenge with 3 stars to earn 3 additional diamonds. Don’t stand still for more than 20 seconds. Keep Lily Parker on her feet by not standing still for longer than 20 seconds. Alternate clicking between the tables and desks to keep Lily Parker moving. A meter in the upper right corner will help keep track of your progress. Don’t make the same product twice in a row. Don’t make the same product twice in a row. If the same product is ordered back-to-back, prepare another item first, before adding the second to your tray. Cross off any unneeded items by clicking on them on your inventory tray. Impress everyone with your professional attitude! Get 10 combo bonuses during your shift. 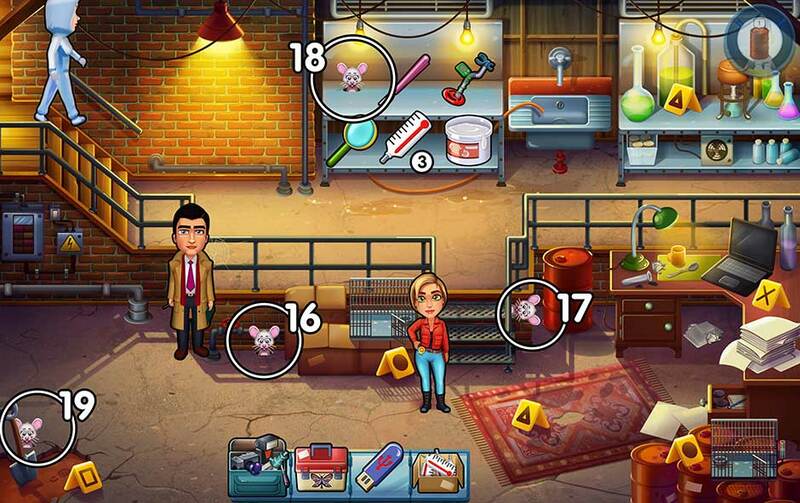 Earn combo bonuses by serving investigators consecutively, back-to-back. 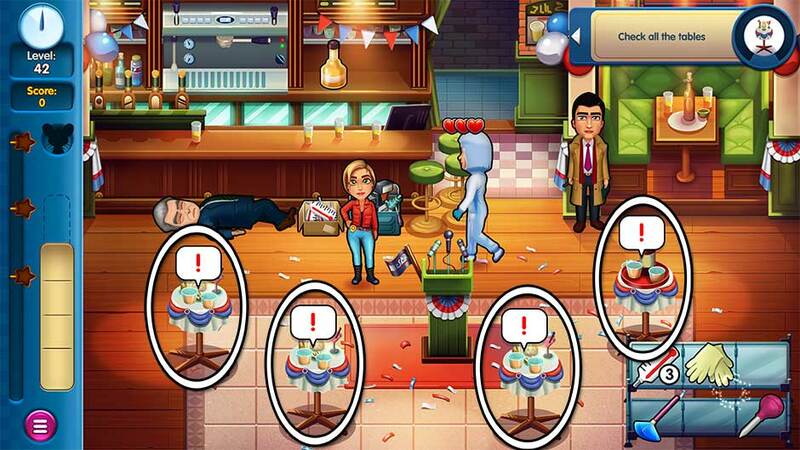 Earn 10 quick bonuses by assisting investigators within a handful of seconds of their asking for items. You can increase your chances of a quick bonus by keeping high-demand items ready-stocked on your inventory tray. Earn 3 chain combos during your shift. Serve and assist investigators by bringing them items back-to-back. This is most easily done by serving 2 investigators consecutively at the same time. Parker will move more slowly than usual today. Try to assist investigators in efficient waves and pick up multiple items from the same location as needed to minimize your walking. Products disappear from your inventory every 20 – 25 seconds. Products will vanish from your inventory tray every handful of seconds. Pay close attention to when items vanish. As soon as they disappear, that’s an excellent time to pick up several items and serve them in quick succession. Don’t assist anyone for 20 seconds! Don’t serve any investigators for 20 seconds. A meter in the upper corner of your screen will help keep track of your progress. This challenge is most easily accomplished at the very start of your shift, or at the very end. Tip! Assigning investigators to markers does not count as assisting them. Signing them out does. Memorize investigator orders. As soon as an investigator orders, they’ll forget their order a handful of seconds later. A “?” bubble will replace their order. Pick up orders as soon as they’re requested, and you’ll never have to worry about forgetting. Play with a tired Lane. Victor Lane is exhausted and will move more slowly than usual today. Try to play efficiently. Address investigators and pick up items in small batches to maximize the little energy you have. The moment you pick up an item today, it will turn into a “?” on your inventory tray. Try to keep track of which investigators you’re helping, and don’t hesitate to take an extra moment to double-check an item before adding it to your tray. Investigators will change their orders. Investigators are indecisive and will change their orders today. Wait a handful of seconds after an investigator makes their order to make sure they make up their mind. Only then should you pick up the items they’re after. Show off that diamond standard! Don’t make any mistakes today. Be extra careful you’re adding the correct items to your inventory. If you cross an item off your inventory tray, you’ll fail today’s challenge. Investigators will forget their order. Investigators will forget their orders today. After making an order, a “?” will replace the bubble over the investigators’ heads. Pick up items as they’re asked for right away to minimize confusion. Fill your inventory, then hand it all out. Completely fill up your inventory before handing all of it out today. Repeat this process a total of 10 times today to complete today’s challenge. Never run out of a restockable item. Restock your items at the very start of the day and repeat throughout. If the stock never drops below 1, you’ll complete today’s challenge. Gotta go fast! Everything is sped up today. It’s just like an ordinary day, except everything moves fast! Try not to lose your nerve. Remember, it’s just like any other day – just fast! Any product added to your inventory today will turn into a “?” as soon as it lands on your inventory tray. Keep track of which investigators you’re assisting and take extra care when picking up items. All appliances will work more slowly today. As a result, you may want to try firing them up a little earlier, before an investigator requests assistance. Otherwise, try to serve anyone who doesn’t require an appliance while preparing the items for those who do. Check out just one person at a time. One at a time, please! Check out investigators one at a time today. 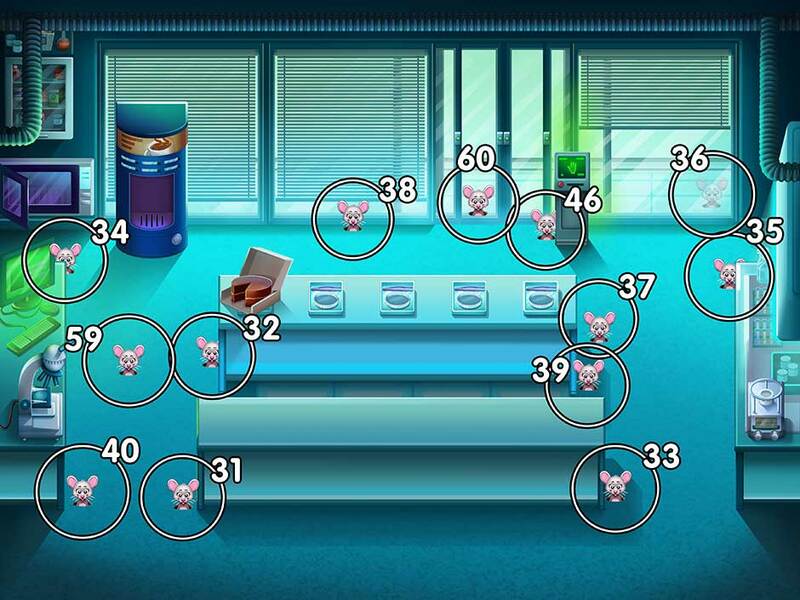 If more than 1 are queued for checkout, you’ll fail today’s challenge. Don’t let any investigators drop below 3 hearts today. First and foremost, don’t keep anyone waiting too long and don’t let the queue back up. Otherwise, focus on serving full orders quickly. The rest is smooth-sailing. Play with a tired Parker. Lily Parker is very tired today and will move more slowly. 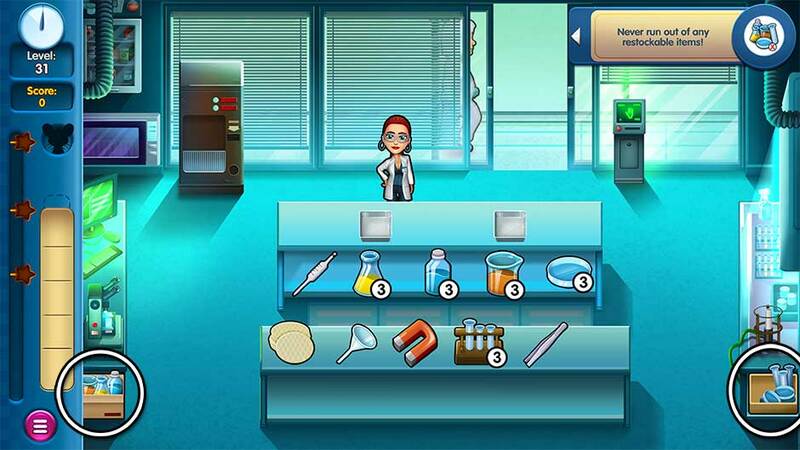 Try to serve investigators and pick up items in batches to maximize your efforts. Serve investigators quickly within a handful of seconds of their ordering to obtain a quick bonus. 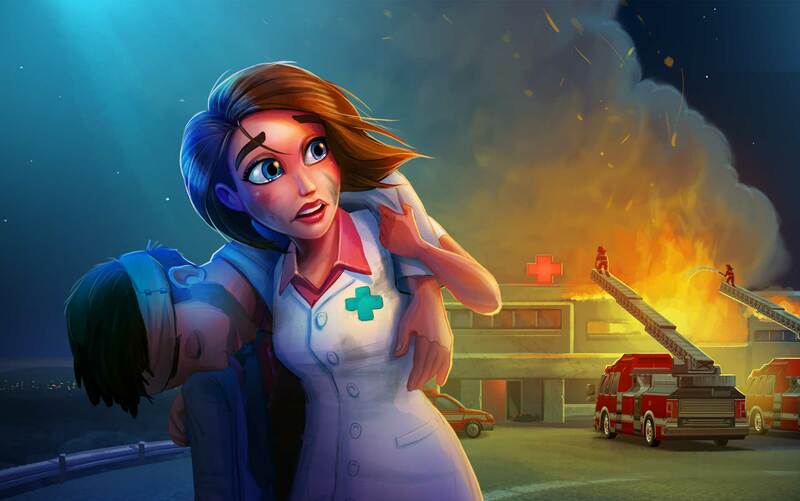 Earn 25 quick bonuses before the end of your shift to complete this challenge. People will enter in a bad mood. Everyone’s entering in a bad mood today, so quick service is paramount. Don’t keep anyone waiting for any length of time. Your top priority should be moving people to and from stations to get their hearts up. Remember, quick service means bonuses that will not only increase your score, but their moods. All restockables have a maximum of 1 stock. Every item with limited stock will be limited to 1 today. You’ll be restocking often throughout the day, so take this into account with your time management. All the items ordered today will come from limited stock. Restock throughout the day, every chance you get to prevent any build-up or backlog. Only ecstatic investigators give you points. Gold heart investigators will be the only ones to give you points today. Place emphasis on serving full orders quickly to increase their hearts and mood. Don’t worry about checkout: Any investigators with gold hearts will have infinite patience, giving you time to serve more investigators quickly. Play with an inventory that gets smaller as the level progresses. Your inventory tray will decrease in size throughout the day. Therefore, it’s important to get as many full order combos and consecutive services as possible before you no longer have enough tray slots to do so. Items only stay in your inventory for a few seconds. Items and products added to your inventory tray will only stay for a handful of moments before they vanish. Keep a sharp eye on your tray and focus on only serving 1 investigator at a time. Don’t hesitate to take multiple trips if necessary. Congratulations! 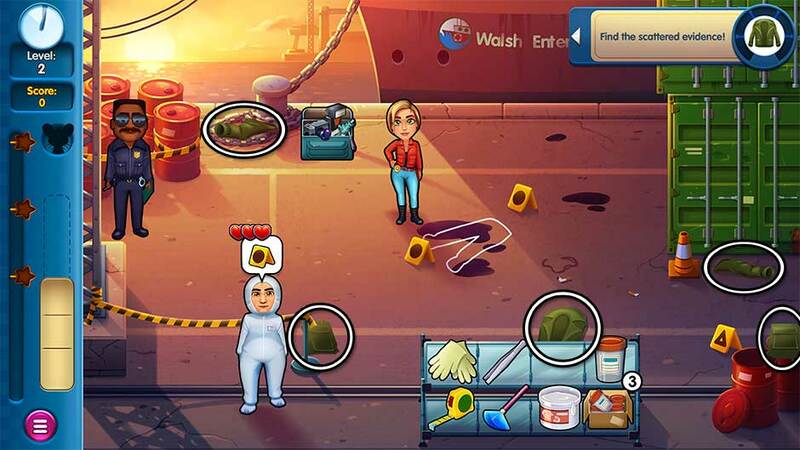 You’ve completed all the Parker and Lane – Criminal Justice Collector’s Edition Challenge Levels! 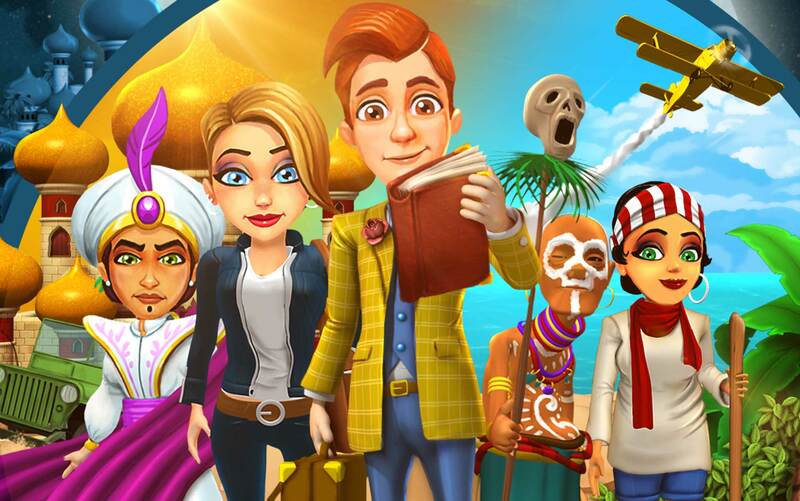 Minigames are short challenges and micro-games and puzzles which will appear during levels. 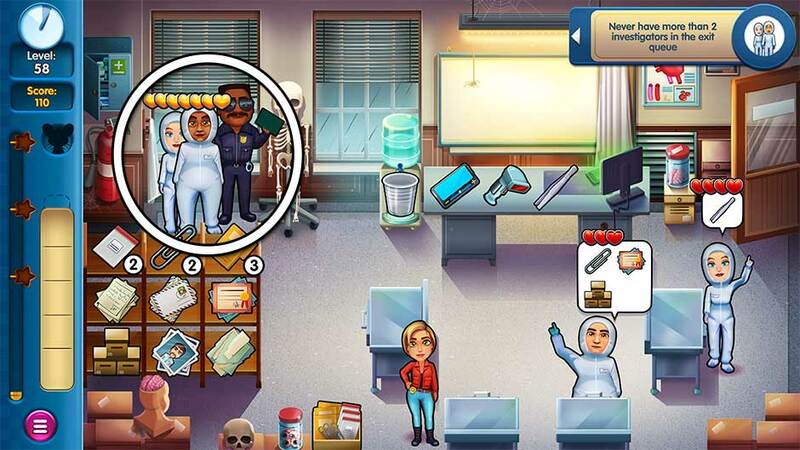 This section lists every minigame you can encounter while playing Parker and Lane – Criminal Justice Collector’s Edition and how to complete it. Click to spray the bottle of luminal onto the blood stain. Click repeatedly until the spot is blue and repeat for any additional bloodstains. 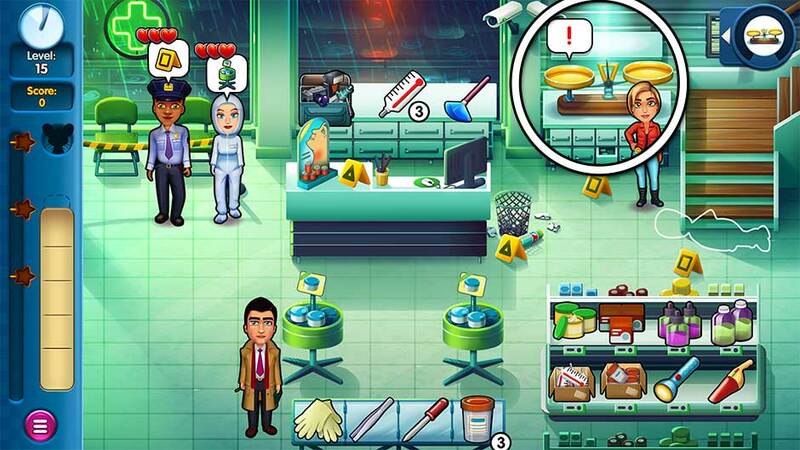 Parker & Lane – Criminal Justice – Minigame – Collect Blood Evidence! Using the syringe, note the color swatches in the lower corner. Click and hold on the liquid of the matching color vial until the syringe is filled to the green mark. Repeat for any additional color swatches. 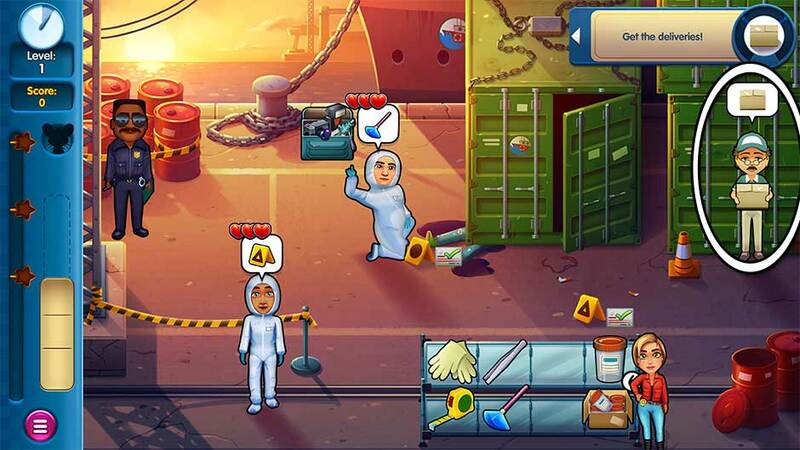 Parker & Lane – Criminal Justice – Minigame – Collect Chemicals! A number in the lower corner will appear next to the evidence you need to find. This indicates how many pieces of that evidence item are on the tray. Click on each of the matching items on the tray until you’ve located all the evidence. 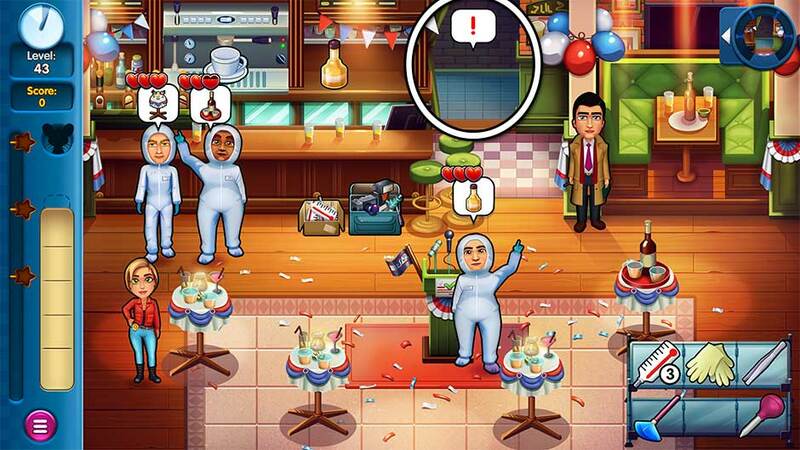 Parker & Lane – Criminal Justice – Minigame – Find Evidence! Click on the brush to select it. Click and hold, moving your cursor over the object until a fingerprint appears. As soon as you notice a fingerprint (it does not have to be complete, only visible), click on the blacklight flashlight to select it, then click on the fingerprint to collect it. 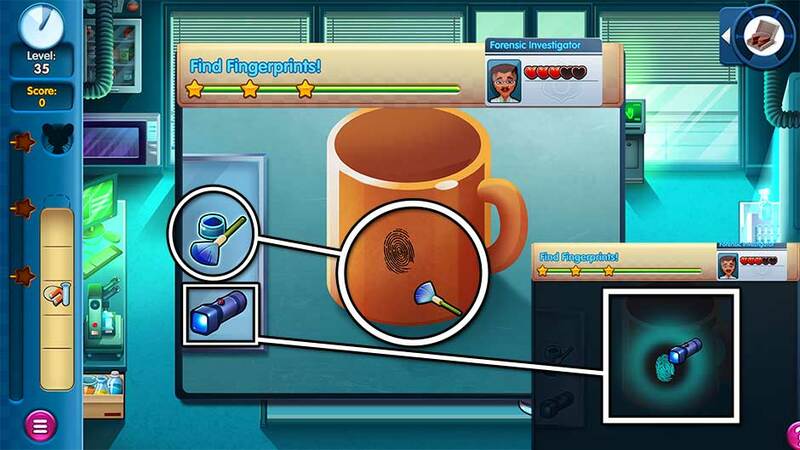 Parker & Lane – Criminal Justice – Minigame – Find Fingerprints! Click on the dark film, followed by the footprint to lay down your base. Next, click on the roller brush to select it. Click and hold over the footprint on the black film, moving your cursor back and forth to reveal the footprint in a white color. Once the entire footprint is revealed in white, the minigame will be complete. 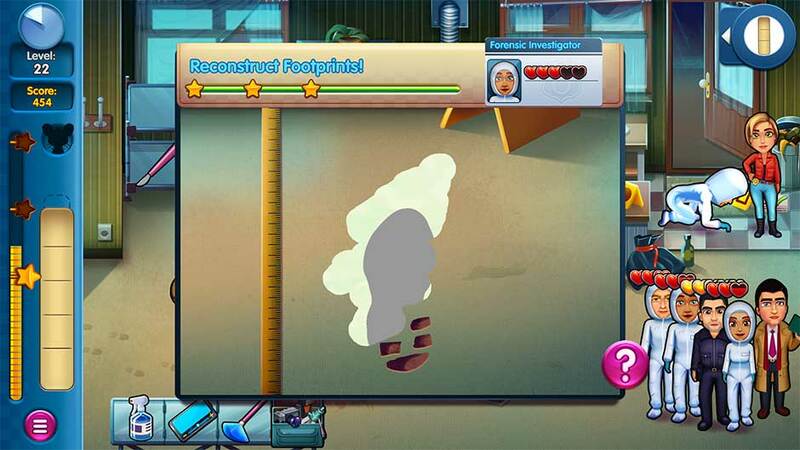 Parker & Lane – Criminal Justice – Minigame – Find Footprints! Using the dropper tool, click and hold on liquid puddle. The vial of the matching color will start to fill. Click and hold until the vial is filled to the green mark, then release. Repeat for any additional colors and vials which may be present. 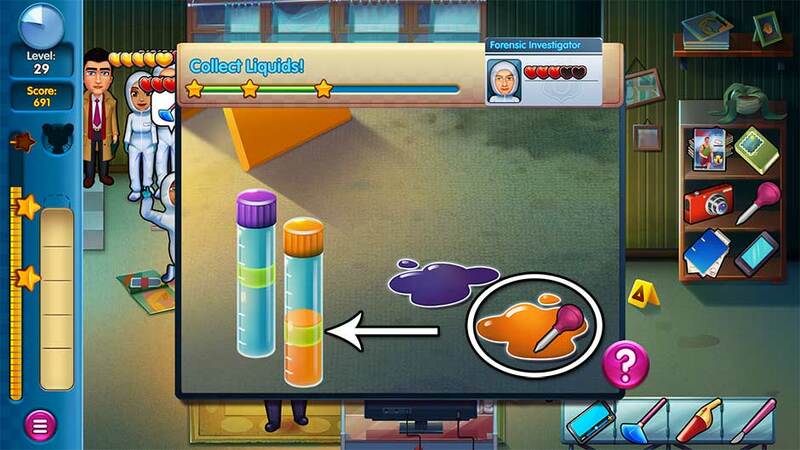 Parker & Lane – Criminal Justice – Minigame – Collect Liquids! 7. Create a Composite Photo! Click on the arrows on the left and right sides of the photo to scroll through facial features. When a facial feature matches up, that feature’s row will turn green. Repeat this for every feature until you have a full matching composite image. 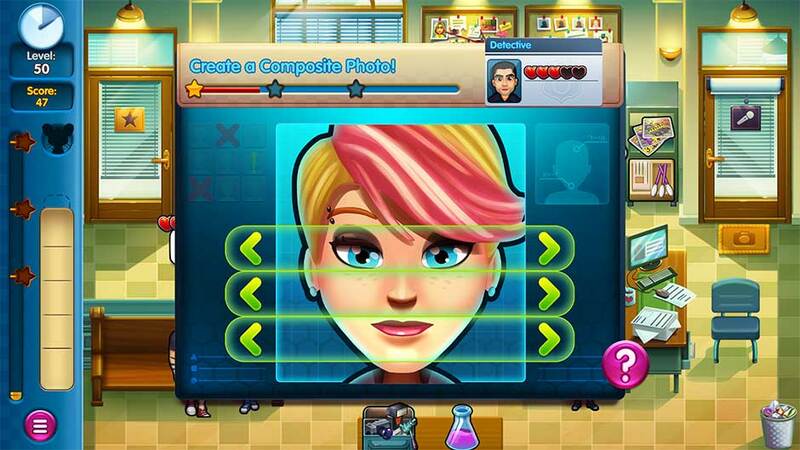 Parker & Lane – Criminal Justice – Minigame – Create a Composite Photo! Select the structure on the left side of the tray. Click and hold, moving it to the matching structure shape in red on the diagram, then release to place it. 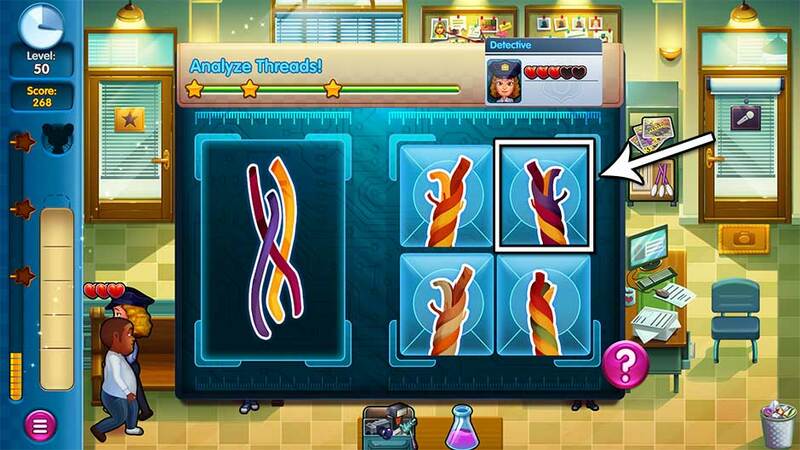 Parker & Lane – Criminal Justice – Minigame – Perform Crystallography! 9. Take a Good Look! Click and hold the slider at the bottom of the minigame window. Move the slider left or right until the image is clear, then release. 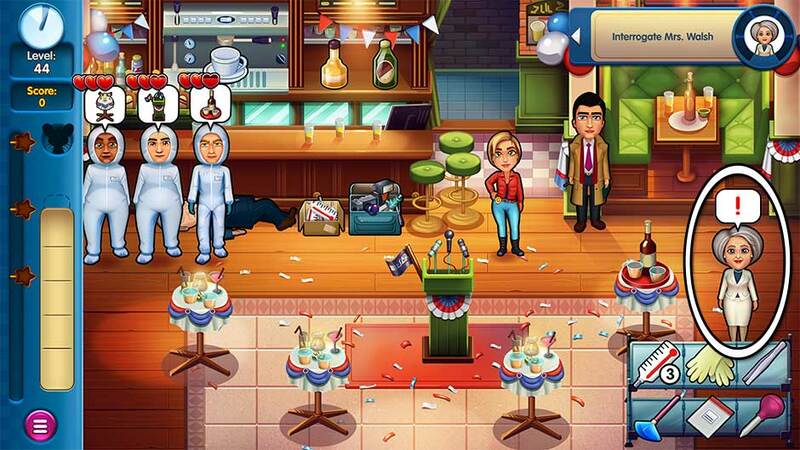 Parker & Lane – Criminal Justice – Minigame – Take a Good Look! Find the matching shapes and features. Drag the green shape that matches the red shape on the fingerprint into its outline, then release. Repeat as needed for any additional features. 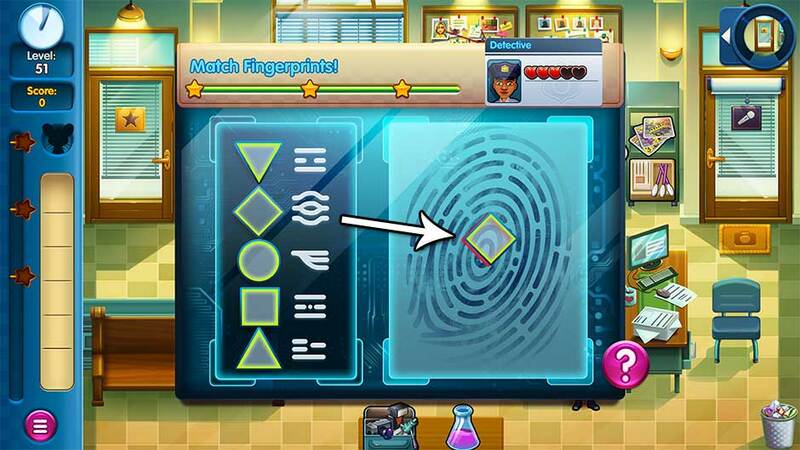 Parker & Lane – Criminal Justice – Minigame – Match Fingerprints! Click and hold, moving your cursor to cover the footprint in a white molding substance. As soon as the entire footprint is cast, the minigame will be complete. 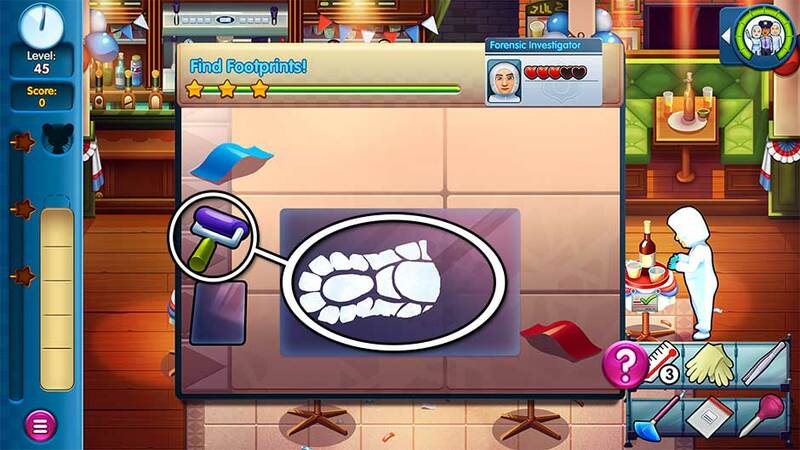 Parker & Lane – Criminal Justice – Minigame – Reconstruct Footprints! Numbers will appear at random amidst the code. Click on the number when it appears to add it to the row at the bottom. Once the entire row is filled with numbers, the minigame will be complete. It doesn’t matter which number you choose – any number will count. Ah-ah-ah. 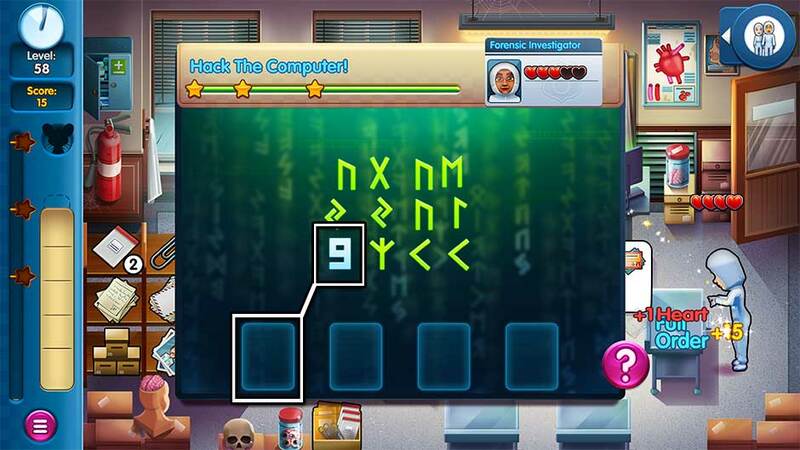 Parker & Lane – Criminal Justice – Minigame – Hack the Computer! Click on a piece of the evidence photo using the tweezers. Hold the click, moving the photo piece to the correct portion of the outline. Once correctly placed, a green checkmark will appear over that piece. Repeat until the entire photo has been assembled. Parker & Lane – Criminal Justice – Minigame – Reconstruct Photos! Note the color of the threads pictured on the left. Click on the corresponding image on the right which matches those threads’ colors. 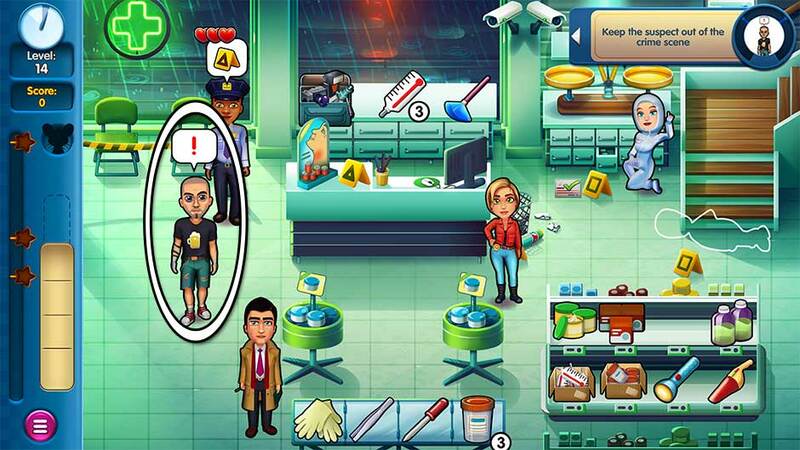 Parker & Lane – Criminal Justice – Minigame – Analyze Threads! Using the dropper, click on puddles of liquid to collect them. Using the tweezers, collect any remaining trace evidence that isn’t liquid. You can click on either the dropper or tweezers to switch them out. The minigame ends once all the evidence has been collected. 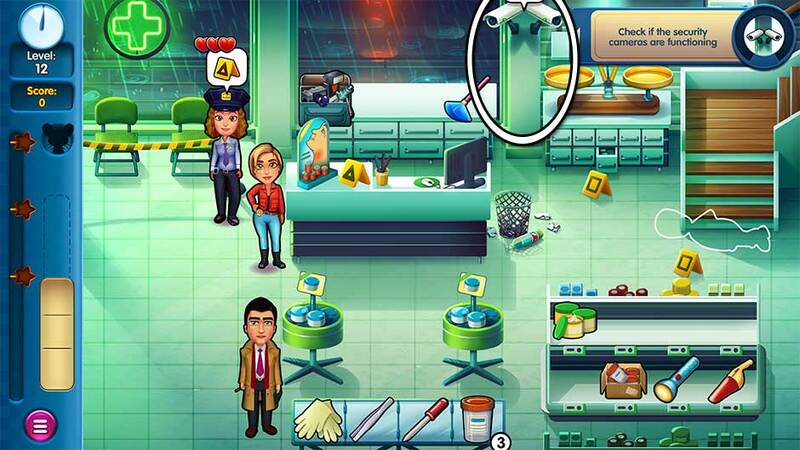 Parker & Lane – Criminal Justice – Minigame – Collect Trace Evidence! Click and hold the flashlight on the right of the phone, moving it up or down until an arrow pattern is revealed on the phone’s screen. Once the arrow pattern has been revealed, click at the start of the arrow line, holding the click as you trace along the arrow path. Once you’ve successfully revealed and traced the pattern, the minigame will conclude. 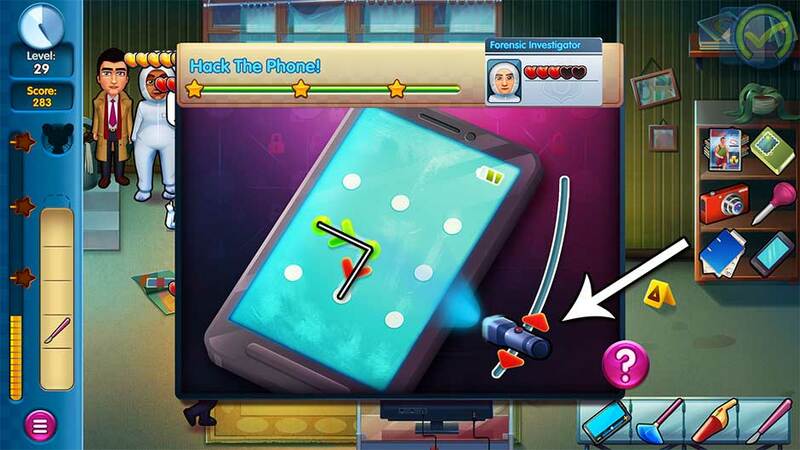 Parker & Lane – Criminal Justice – Minigame – Hack the Phone! Compare the left and right video screens. Click on any and all elements that appear in one frame, but not the other. Once you’ve found all the evidence, the minigame will conclude. 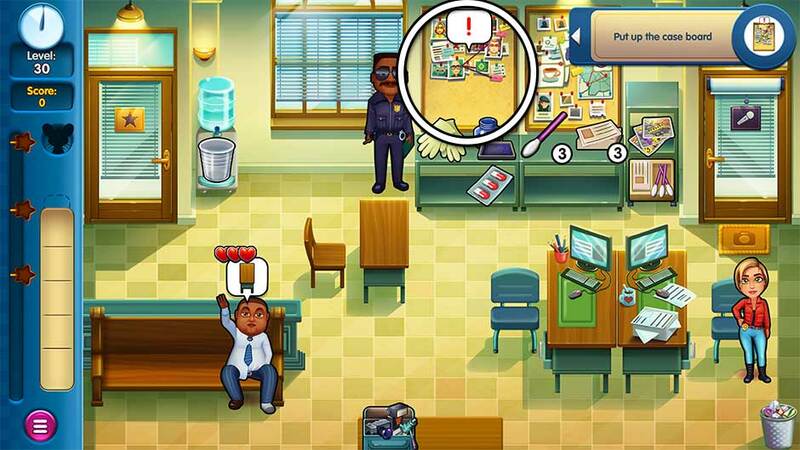 Parker & Lane – Criminal Justice – Minigame – Analyze Video Footage! 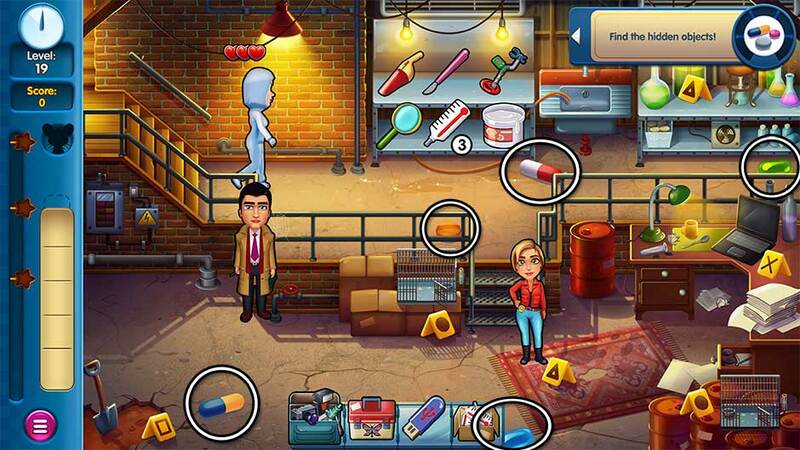 There’s more than clues and criminals to track down in Parker and Lane – Criminal Justice Collector’s Edition. Carl the mouse is hidden in each of the game’s 60 story levels. This section reveals the location of every mouse in the game, divided and organized by location. The numbers in the images below indicate the level in which that mouse is found. 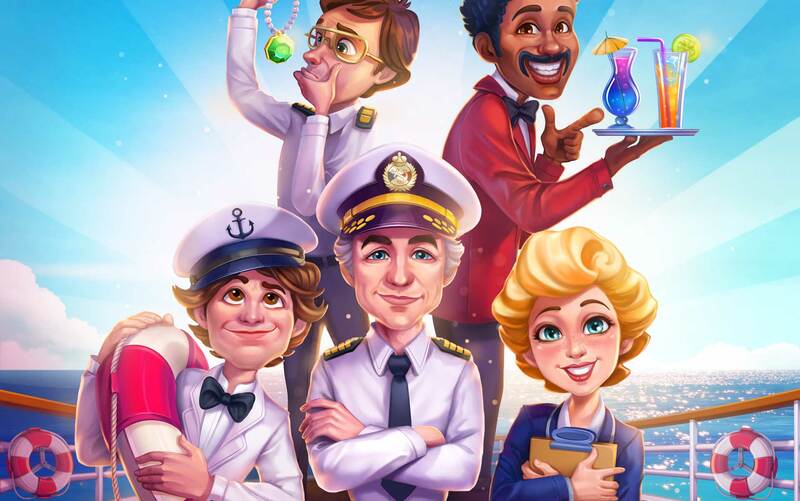 Show the world what a decorated detective you can become! 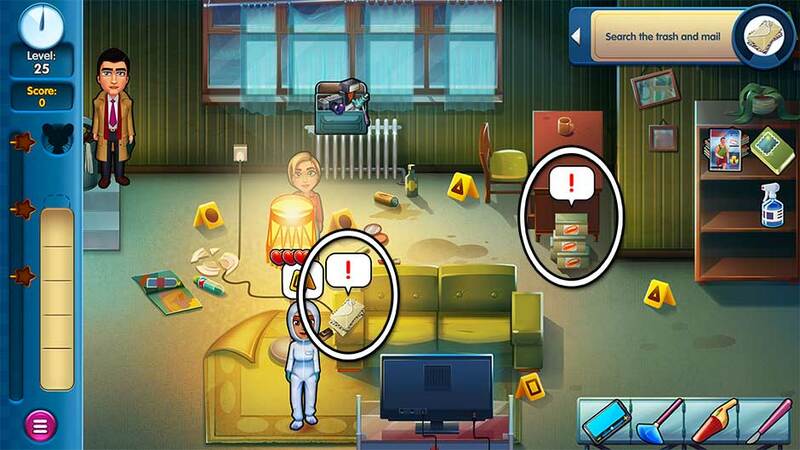 There are 12 trophies to unlock in Parker and Lane – Criminal Justice Collector’s Edition. Click on the trophy icon in the upper left corner of the level select screen to view your medals and the trophies you’ve yet to unlock. Below is a list of all trophies and achievements in the game and how to unlock them. A hard day’s night Make it through your first day as a homicide detective! Complete Levels 1 – 5. Case closed! Complete the case file. Unlock all the items within the case file by earning diamonds. Click on the diamond icon in the level select map to view the case file. Master hacker Hack all the computer passwords! Complete all the hacking and unlocking minigames. Diamonds are forever Complete all events and challenges. Complete all the level challenges for Levels 1 – 60 and all bonus Challenge Levels. Challenge accepted Play 15 consecutive daily challenges. Select the Daily Challenge at the bottom of the level select screen and play 15 days consecutively. Shifter Unlock and play all endless levels at least once. Endless levels will unlock as you progress in the game. Play all of them at least once to unlock this achievement. As many as the stars in the sky Finish all levels with 3 stars. Complete every level, both Story and Challenge, with a 3-star ranking. 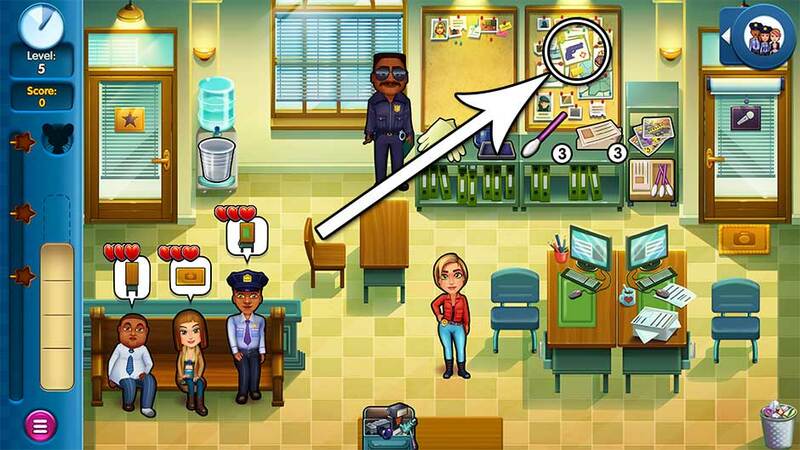 Top notch Fully upgrade the Police Station. Upgrade the Police Station completely. This can be done at the start of any level which takes place at the Police Station. Detective of the month Never let anyone be anything less than happy. Complete all story levels with all investigators leaving with 3 hearts or higher. 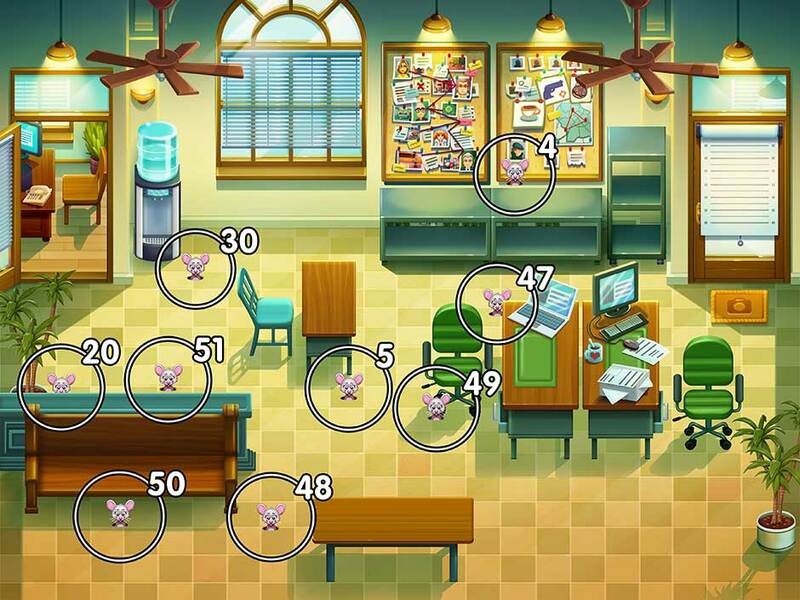 The mouse collector Find the mouse in every level during gameplay. 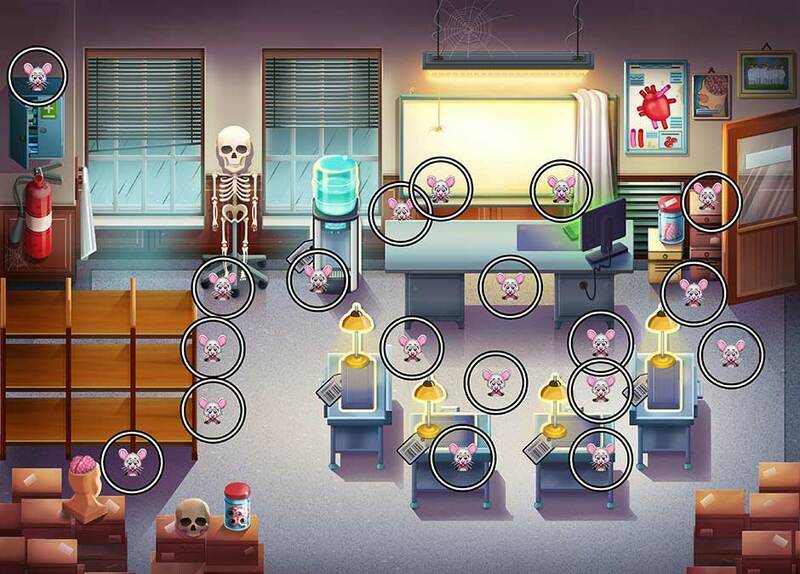 Find every mouse hidden in the game. To see all mouse locations, visit the Mouse Locations section. Egg-citing! Hidden like an egg at Easter! There’s a Parker and Lane Easter egg! 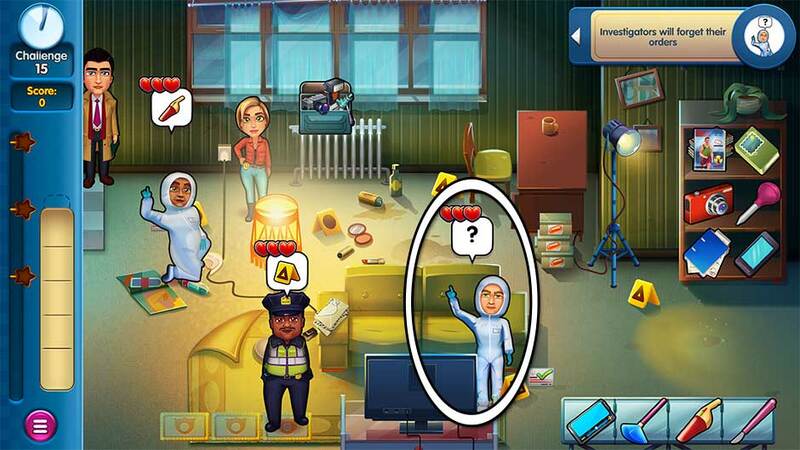 This Easter egg can be unlocked in the Police Station (Level 4-5, Level 20, Level 30, Level 47-50). Click on the picture of the gun and target hanging on the bulletin board to unlock the trophy and the game’s hidden Easter egg. 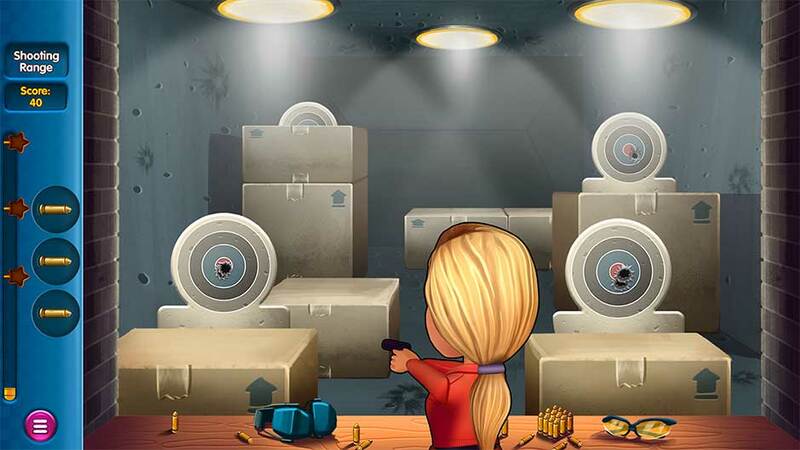 The secret bonus level Shooting Range can be played by clicking the Endless Level icon in the lower right corner of the level select map and choosing the target icon. Show them what a hot shot you are! Don’t let the case go cold! Our Customer Support team is here to back you up whenever you need it. Technical issues, tips, tricks – our experts know it all! 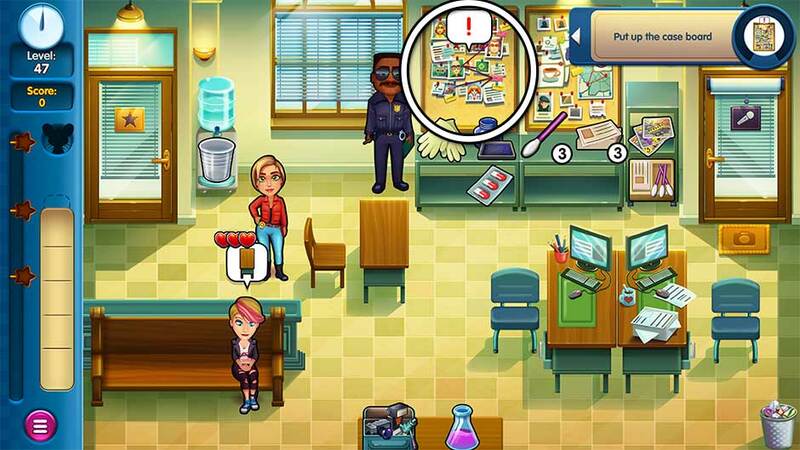 The Parker and Lane – Criminal Justice Collector’s Edition Official Walkthrough is meant as a guide and does not contain cheats, hacks, or serials.